Test disease Show diseases and traits Disease clustering Network Who made this? To see the network you need a html-5 complient browser. Each dots represents a disease in the database and the connecting lines are the traits that connect the diseases. The shorter, darker and thicker the line the more features the two diseases share. Hold the mouse pointer over each dot to see the name of the disease and the connections for that disease. The network is best shown in the Chrome or Safari browsers. Below is a bar graph of the top traits (signs, symptoms, laboratory findings etc.) seen when averaging across all mitochondrial diseases in the database. Further down you can see each disease that is currently in the database. If you wish to suggest the addition of a disease you can do so at the bottom of this page. The image on the left is a clustermap of how the diseases in the database correlated with each other based solely on their traits. Please be patient and wait for the image to finish loading. Each dot represents a referenced trait with the intensity of the color reflecting the prevalence of the trait in that particular disease. Move the cursor over the image to get a closer look. The cluster was made using cluster 3.0. Uncentered similarity metrics and average linkage was used to generate the clustering. If you wish you can download the data from the export link below and generate your own clustermap. The cluster map was updated on May 16, 2014. This website was created by Morten Scheibye-Knudsen and Karsten Scheibye-Alsing, Center for Healthy Aging, University of Copenhagen, Denmark. Scheibye-Knudsen,M., Scheibye-Alsing,K., Canugovi,C., Croteau,D.L., & Bohr,V.A. A novel diagnostic tool reveals mitochondrial pathology in human diseases and aging. Aging (Albany. NY) 5, 192-208 (2013). If you have any feedback or if you wish to become a reviewer of a disease on the website please contact us. Welcome to the mitochondrial database.On this site you can find information regarding the clinical features seen in mitochondrial diseases. You can even test if some symptoms resemble what is seen in mitochondrial disorders. To facilitate this analyzis we created various tools to quantitatively determine if a disease could be caused by mitochondrial pathology. We recommend reading our tutorial to familiarize yourself with the database. If you wish you can test a disease test a disease using our clustering algorithms to see how it associates with the diseases in the database. You can also investigate the traits most often associated with mitochondrial diseases or explore how the diseases cluster with each other. It is also possible to investigate how the diseases are associated with each other in the network section. We created this site for the scientific community to investigate possible links between clinical symptoms seen in genetic diseases and mitochondrial pathology. The idea was based on the observation that several rare diseases of unknown etiology displayed similar clinical presentation to known mitochondrial diseases. Here is a brief overview of the data used to create the database. Use the form below to test if a disease correlates with the known diseases in the database. Fill out the boxes with the traits observed in the disease of interest. Because the same trait often has several names you will get the most accurate result if you use traits that are already in the database. You can choose those from the drop down list. After you have filled out the form with all the traits push test disease to see your result. We highly recommend using a html-5 compliant browser such as Chrome, Safari or Firefox when testing a disease. Internet explorer is unfortunately not compatible with several features in the database. 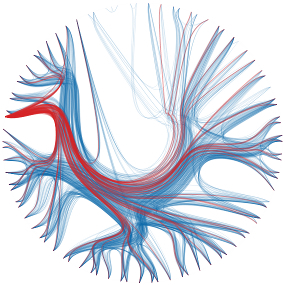 Use only mitochondrial and non-mitochondrial diseases for clustering and network? Use only mitochondrial diseases for network?